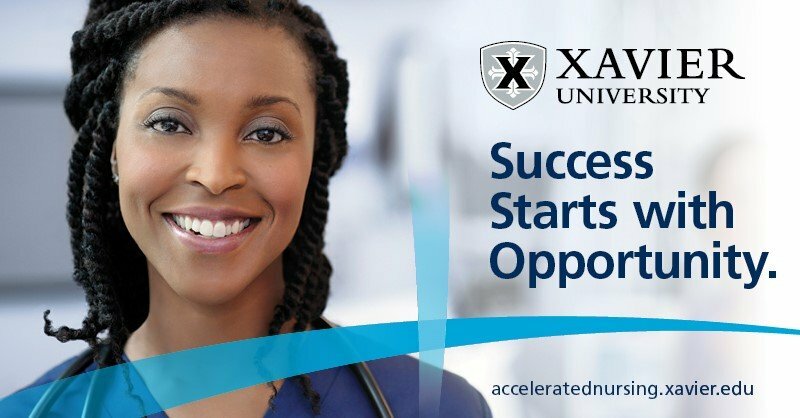 Xavier University’s Accelerated Nursing Blog \ Nursing Inspiration \ Career Advice \ Looking to Change Careers to Nursing? Do it by the Numbers. Looking to Change Careers to Nursing? Do it by the Numbers. At the Xavier School of Nursing, we come across a lot of applicants looking to change careers to nursing because they feel stuck in an occupational rut. If you’ve been contemplating a career change, it’s time to stop thinking and start doing. Not only are nurses in high demand nationwide, they are also viewed as one of the most trusted professionals in the country. Transitioning from one profession to another can be difficult. You have to be willing to put yourself out there, learn new skills and leave old career habits behind. Nursing is one of those professions where you have to have the right skills and personality to be successful. So before jumping too far ahead, let’s use these questions to help determine if the nursing profession is a good fit for you. Can you empathize with others? Do you like working as part of a team? Can you maintain clear focus in stressful situations? Do you pay close attention to detail? Do you consider yourself an extrovert? Can you remain calm in the face of frustration? Great nurses are those who are competent, collaborative and compassionate. If you responded “yes” to all of the questions, you might have the qualities of a great nurse. Our nursing faculty can teach you how to be a competent nurse through innovative and relevant learning experiences, but it’s not as easy to develop your compassion if it doesn’t come naturally. As long as you have a bachelor’s degree in another discipline and a minimum cumulative GPA of 2.70, our second-degree ABSN program can accelerate you into the nursing profession. Whether you studied accounting, biology, communications or psychology, we build on this education so you can graduate as a practice-ready nurse in 16 months. Before you get started in the full-time, four-semester program, you must satisfy our four ABSN prerequisite requirements—which is minimal considering that some ABSN programs require as many as 15 prerequisites. Depending on your existing degree, you may have already met some of our prerequisite requirements: anatomy, physiology, microbiology and statistics. If it turns out you need to complete one or all of the ABSN prerequisites, you can do so online through our university. Our 21 online accelerated nursing courses bring a level of convenience to the rigors of nursing school. Rather than being tied down to a specific classroom schedule, you can learn the fundamentals and theories of nursing any time of the day or night. These courses set the foundation for the hands-on skills you’ll develop during your nursing labs and clinical rotations. Located inside our dedicated ABSN Learning Center in Downtown Cincinnati, our nursing labs feature advanced equipment, medical supplies and simulation technology that allow you to practice your skills in a mock clinical setting where it’s ok to learn from your mistakes. Starting first semester, clinical rotations are where you experience diverse areas of nursing practice, work with different patient populations and gain concentrated experience with a preceptor. Our university’s strong clinical partnerships throughout Cincinnati give ABSN students access to more than 90 patient locations within the TriHealth, Mercy Health, Cincinnati Children’s Hospital Medical Center and The Christ Hospital networks. Rooted in Jesuit values, our ABSN program provides a nursing education that combines faith and reason with academic rigor. So, if you’re someone who wants to grow academically, morally and spiritually while learning to care for others, you’ve come to the right place. Scholarship. Knowledge development based on reasoning, analysis, evidence-based practice and moral reflection. Service. Caring for the whole person (mind, body and spirit) within a safe, technologically advanced environment. Leadership. Service that advocates for patient needs and rights and seeks to transform health care. Personal and Professional Growth. Care of oneself and others by way of self-reflection and lifelong learning. When you apply to our ABSN program, you’ll have the support of a personal admission counselor every step of the way, from your initial inquiry to your first day of class. Your admission counselor acts as a mentor, cheerleader and guide, walking you through the application process and helping you stay on track toward your goal. Given the variety and opportunities that come with the nursing profession, you’ll find having a BSN degree from Xavier means never being stuck in a career rut again. Ready to Change Careers to Nursing? If you’re serious about taking the accelerated path to nursing, there’s no reason to wait. Contact our admission team today and start working toward an ABSN program start date in spring, summer or fall. By requesting information, I consent to be contacted by Xavier University through my email, phone, and text using automated technology regarding enrollment.